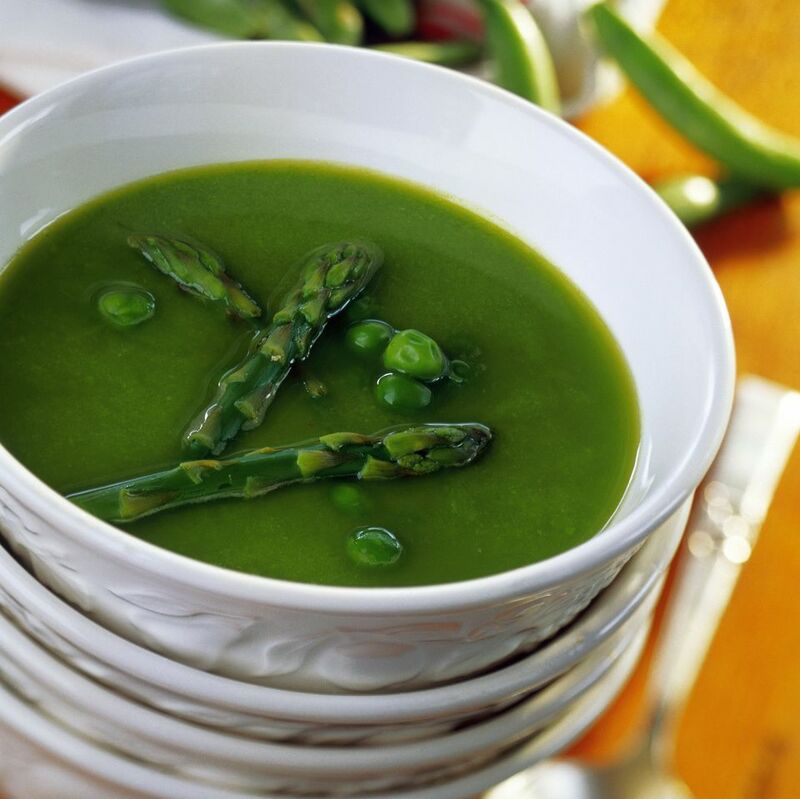 This asparagus-pea soup recipe is made with two iconic spring vegetables. Its vibrant green color, achieved by not overcooking the veggies, makes it a real standout, especially in a white bowl. Garnish with a dollop of sour cream, if desired. In a large saucepan sauté onion in butter or oil until tender but not caramelized. Add asparagus (reserving the tips for garnish) and peas. Add hot broth, bring to a boil, reduce heat and simmer 5 minutes. Remove from heat. Puree in a blender (in batches, if necessary), leaving it somewhat chunky. Season to taste and warm, if necessary, but no further cooking is necessary. Serve garnished with a crouton, dollop of sour cream and a few asparagus spears.